Oh how I adore The Red Lemon. 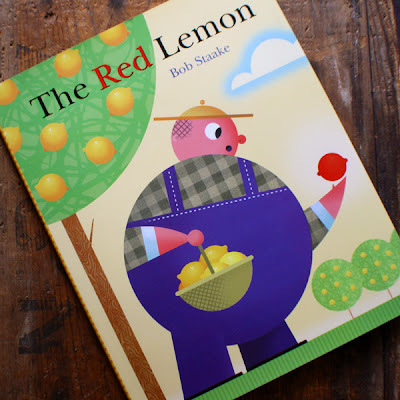 The rhyme, the story, the illustrations...it's all delightful! Click on the author link for more information on the book. For fun, click here for official Red Lemon games and if you have any lemons on hand, whip up a batch of red lemonade (six times as sweet)! 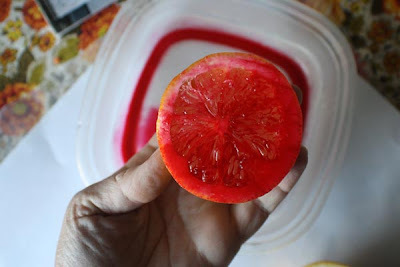 Save one of your lemons for some red lemon printing and enjoy your day! 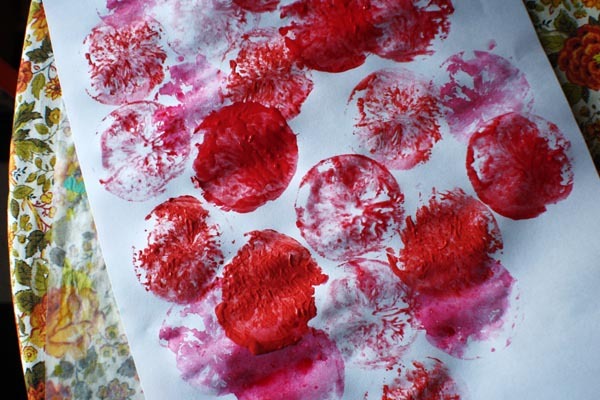 Set out a shallow tray or plate with red paint on it. You can use liquid watercolor or acrylic or tempera. I used three different shades of red. 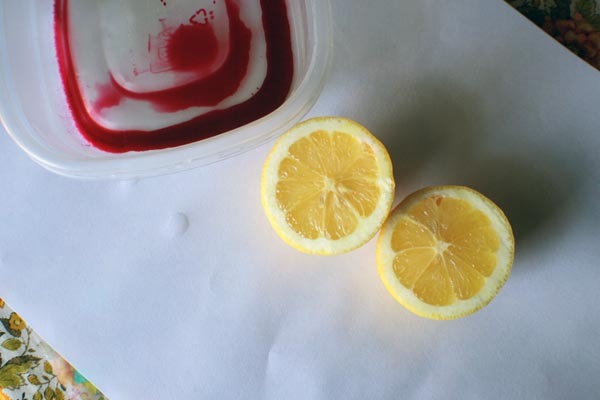 Slice lemons in half and have your kiddo dip their lemon half in the paint and then stamp it onto their paper. Use different paints and/or shades for variety. I think this would make an awesome giftwrap, don't you?